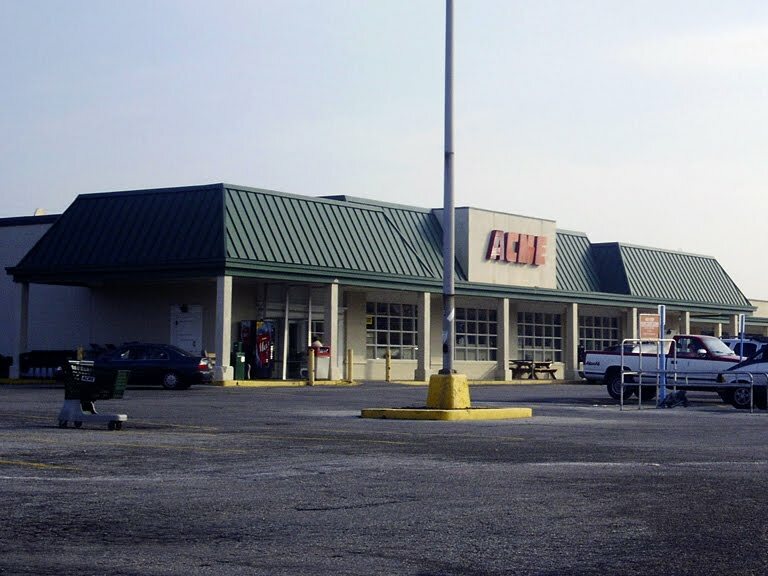 The old Millvile Acme seen here closed back in 2005 when a new replacement store opened about a mile away. 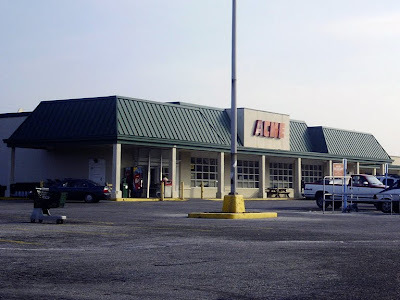 That new store, which we will take a brief look at down below, is now a former Acme as well... the last of the 6 stores closing this February to be featured on the blog. I have been referring to this model of Acme as the "Colonial Cottage" mainly due to the stylings of the front windows, the door frames and other details used around the store. 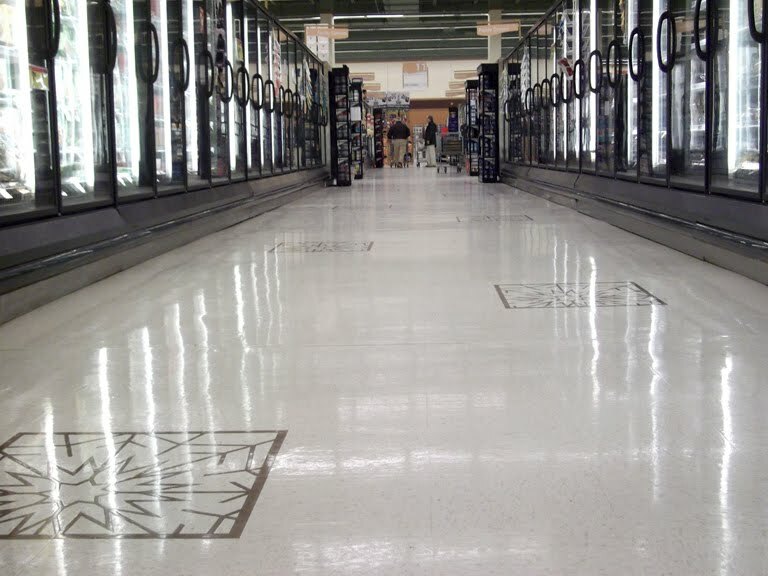 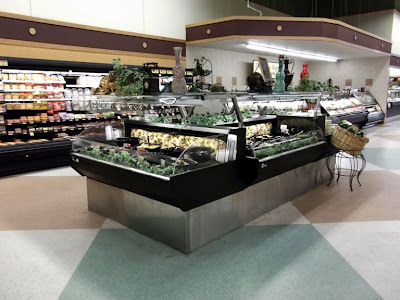 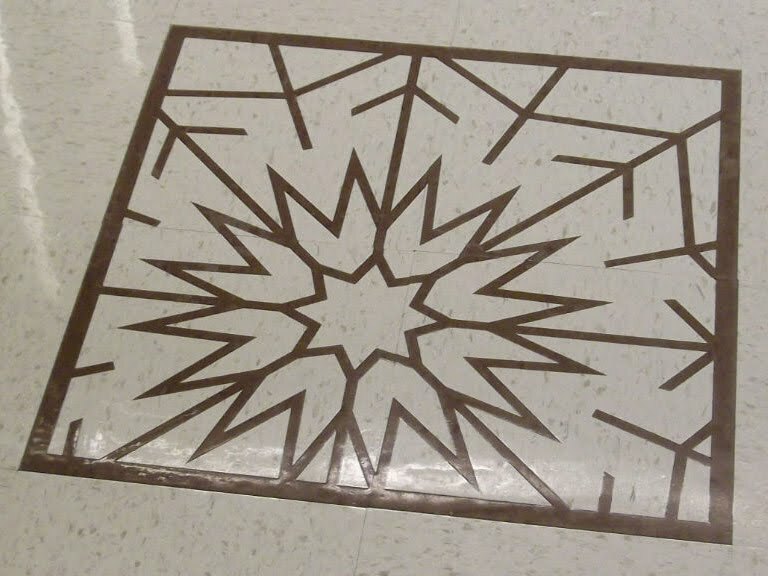 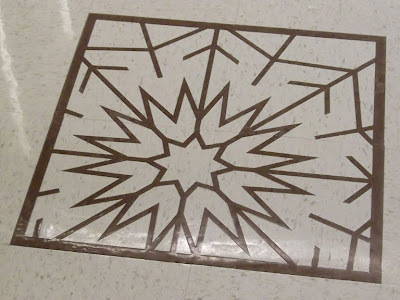 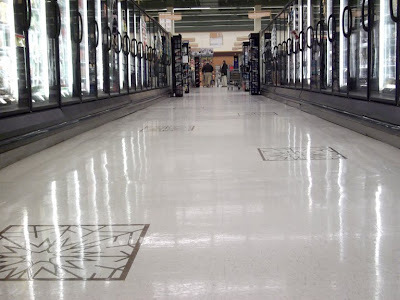 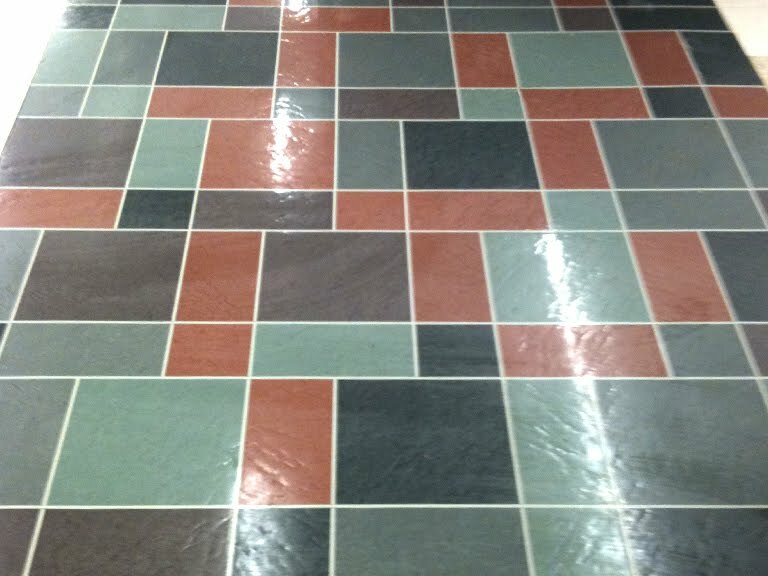 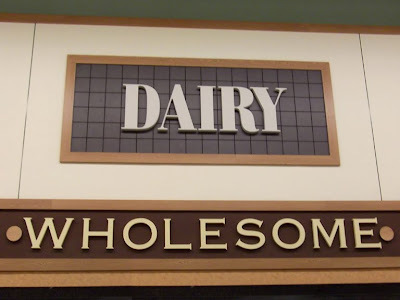 I imagine too that the deluxe version of the 70's Colonial Decor was developed for these stores which included the slate tile floor in the produce department. 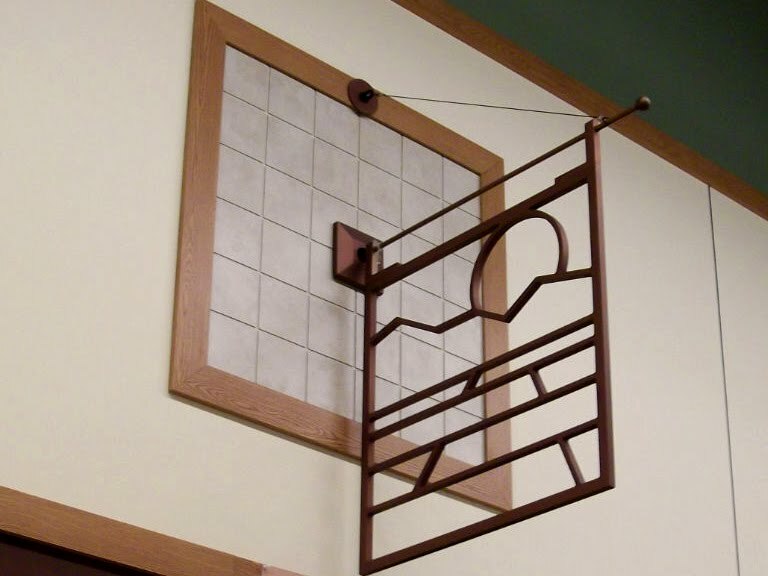 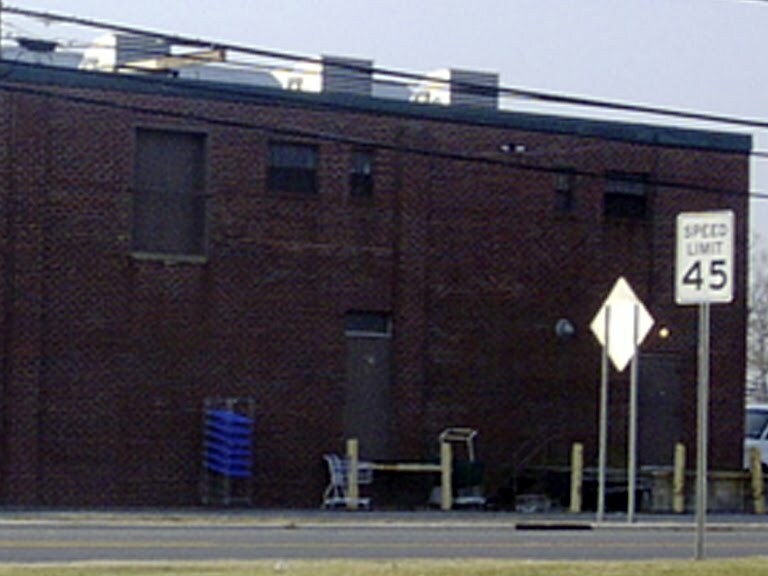 This particular model was rolled out as the pitched-roof era was coming to an end in the late 60's. 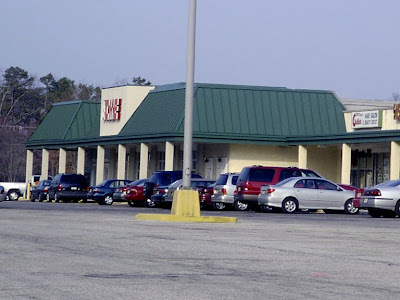 A nearly identical store to this one is still open in Manaquan NJ. 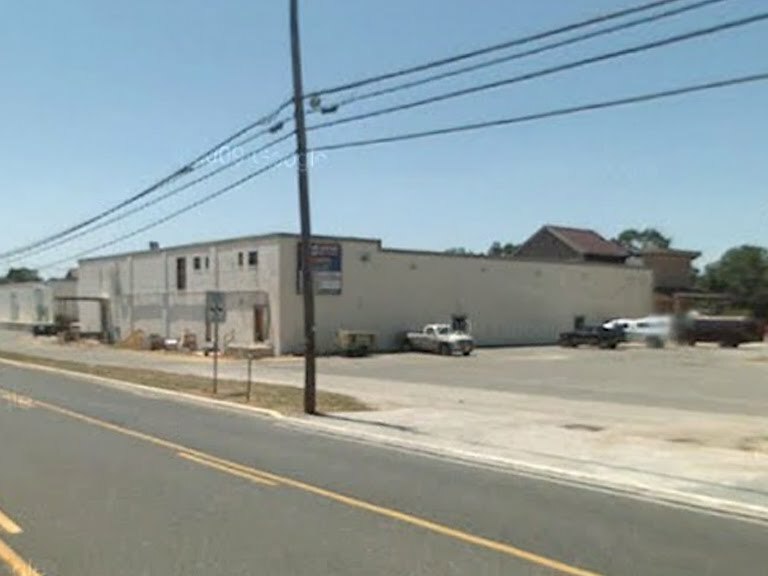 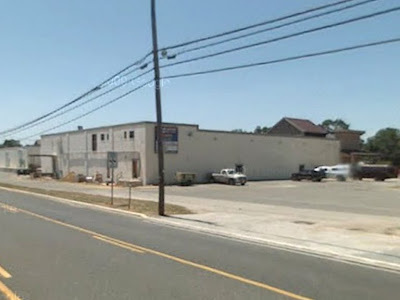 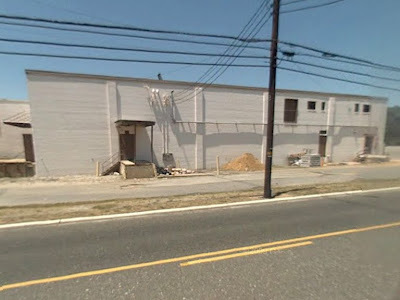 The abandoned location in Belmar NJ is similar as well. The delivery doors had significant details not seen in previous models. 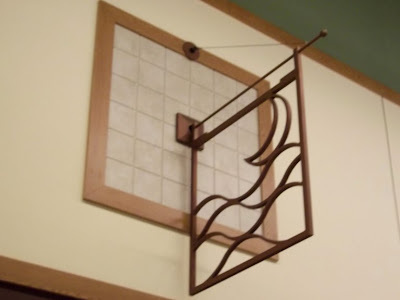 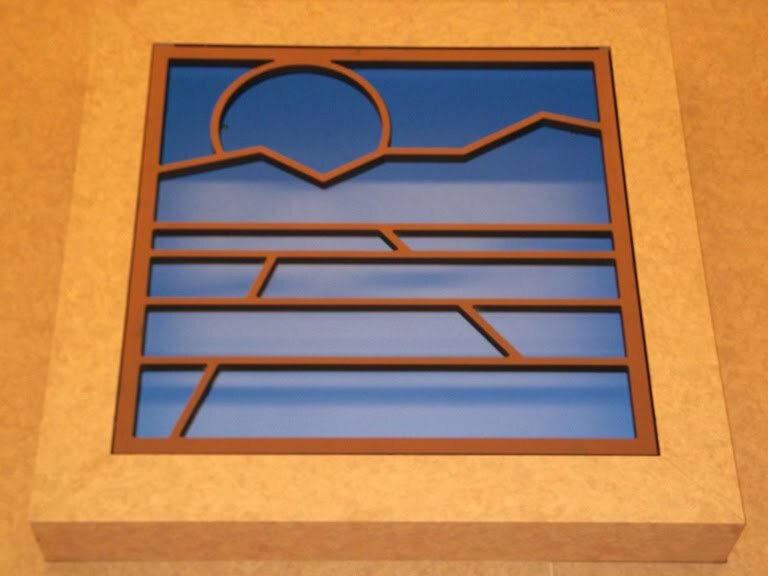 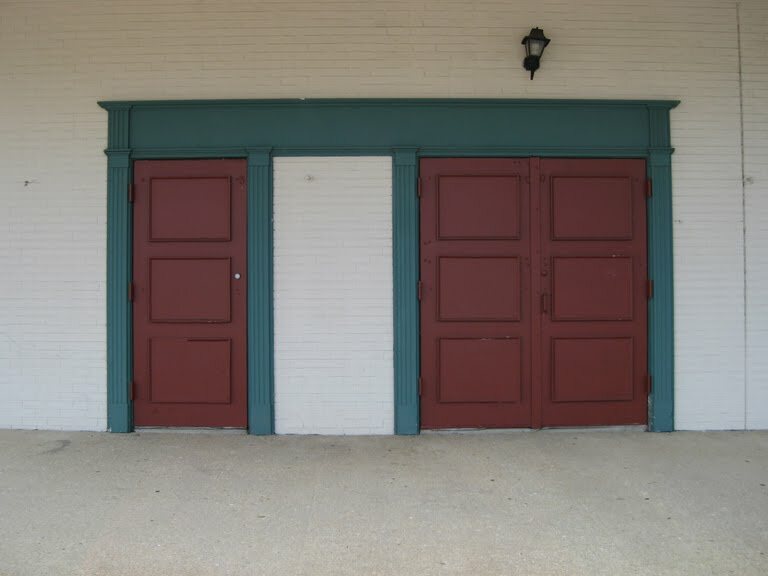 You can see close up details on the Belmar's doors. 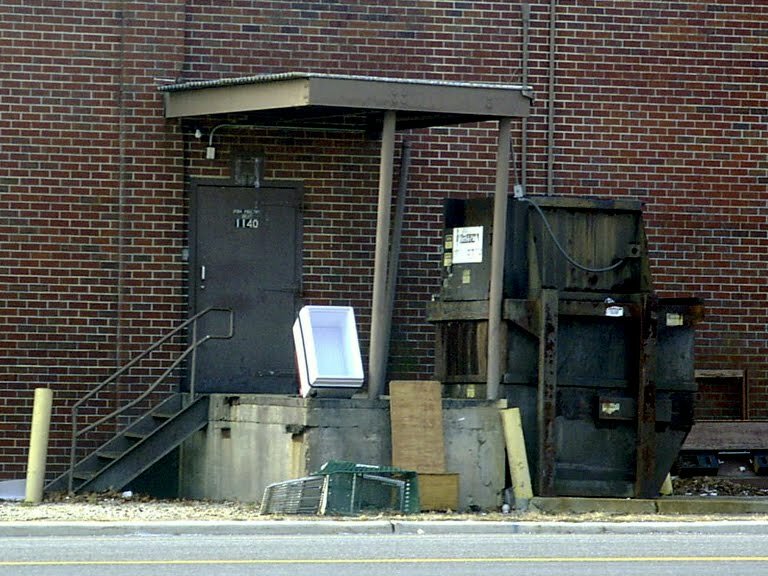 The door seen here was lead to the small storage room used for bread deliveries. The Belmar store was had a similar set up with with a strip mall extending out of the right side. A close-up of the windows which gives us a look at the inside. 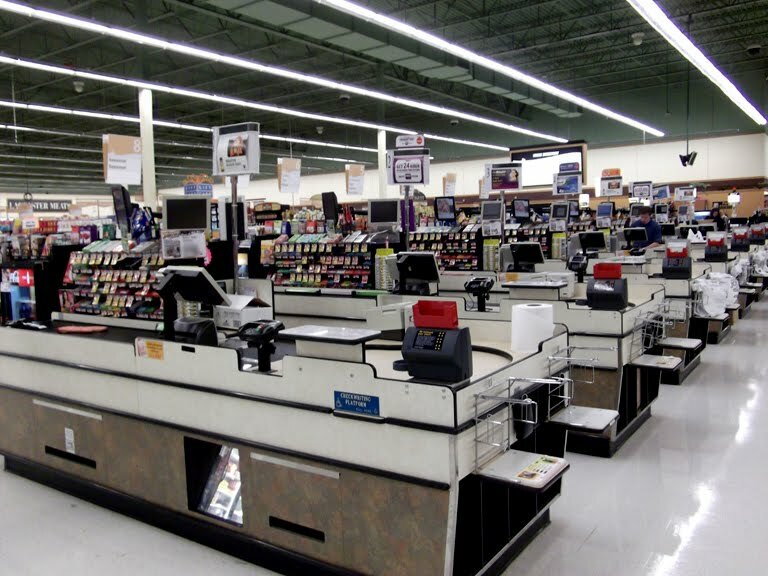 If you click on the picture for the larger view you'll be able to see a hint of checkerboard pattern in the middle window and the blue light boxes above the checkouts. 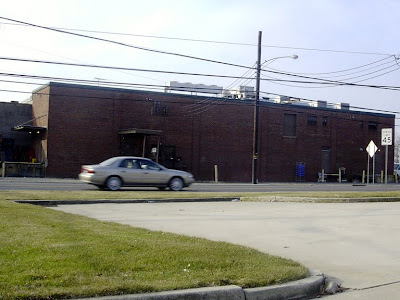 The famous beam sticking out of the roof for lifting compressors to the second floor. 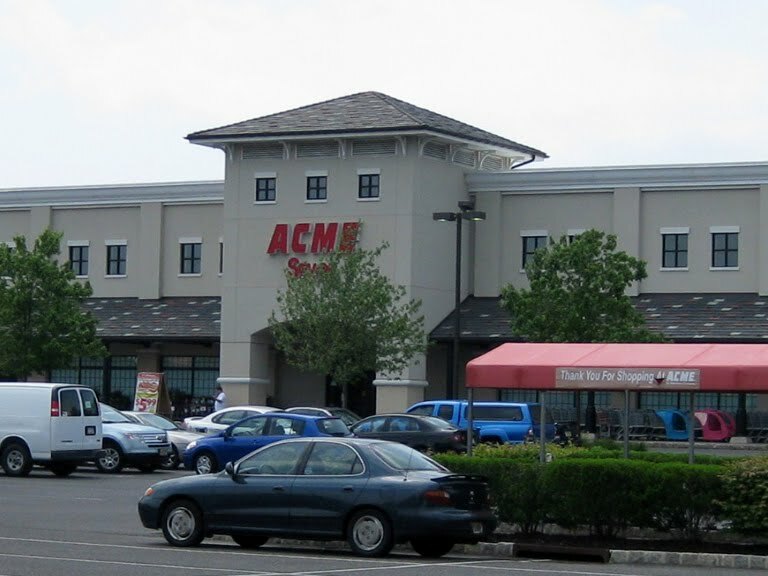 The Acme is the building at the top of the strip. 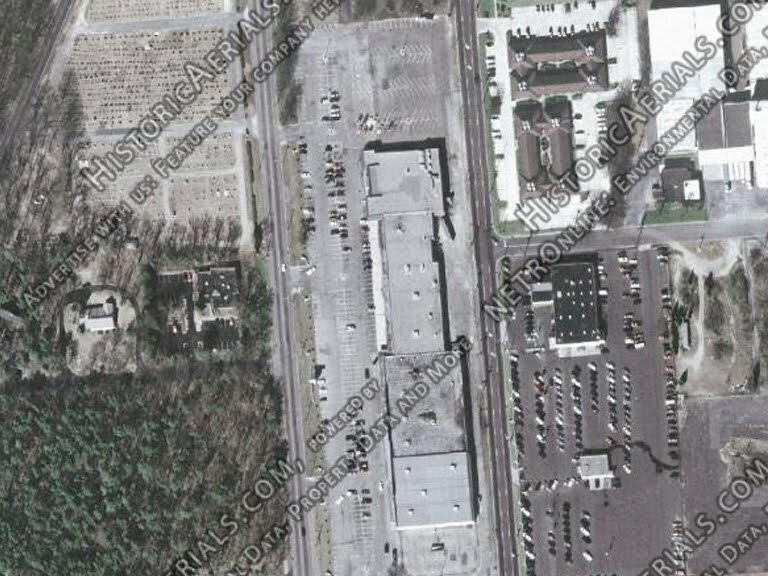 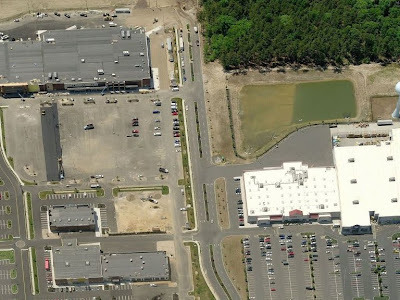 Massive parking lot to the side of the building. 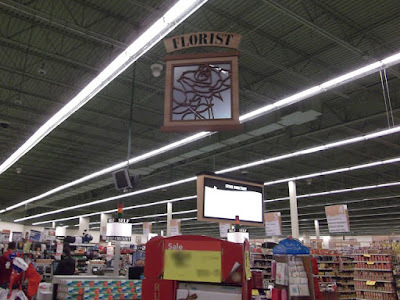 The store has been converted to an "Anytime Fitness" 24-hour gym. 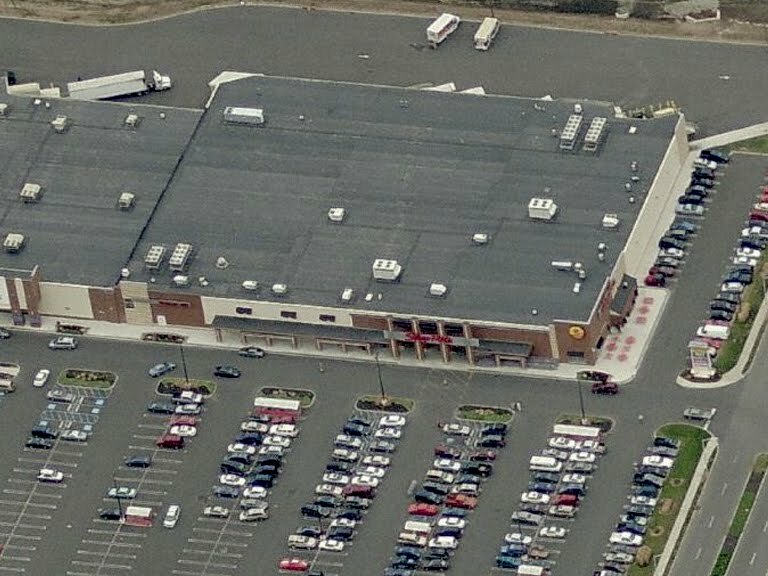 Wanna go inside and check it out? Click here. Some Google street view images to show the back of the store. 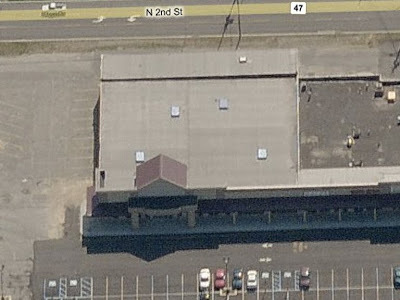 Google didn't have street level views of the front. 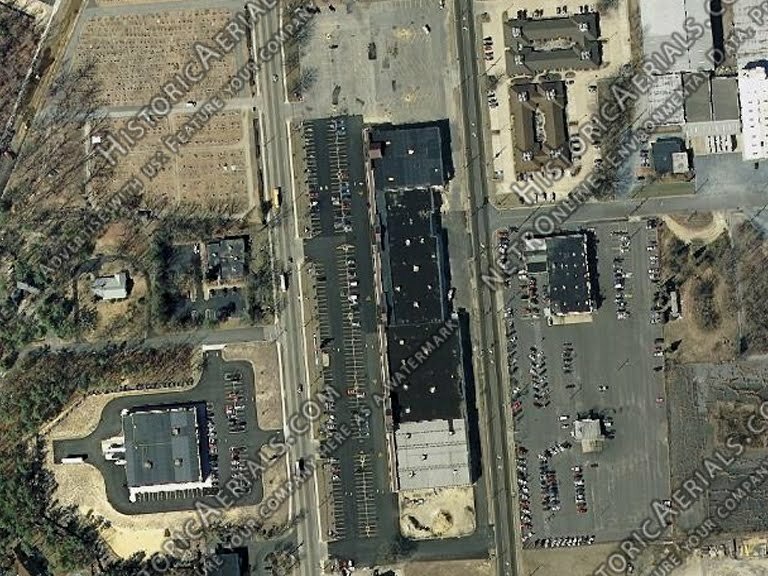 The road seen here seems to have developed into more of a main street through town than North High Street which the shopping center faces. 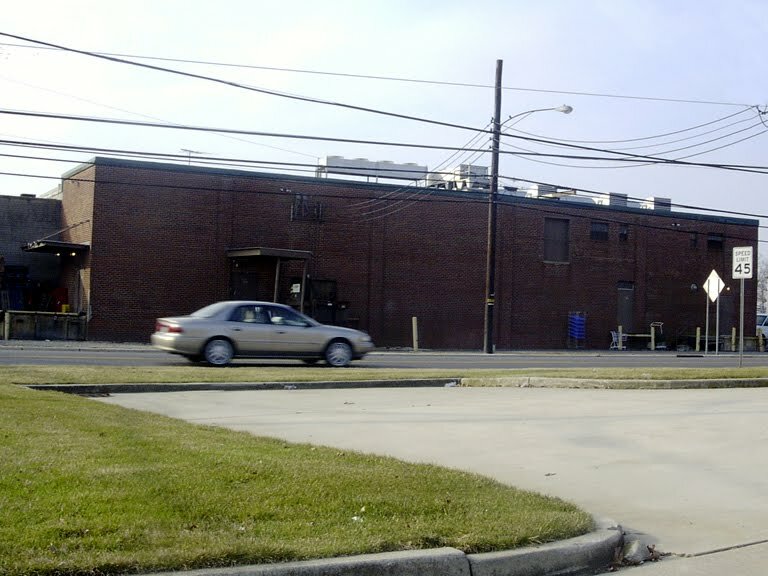 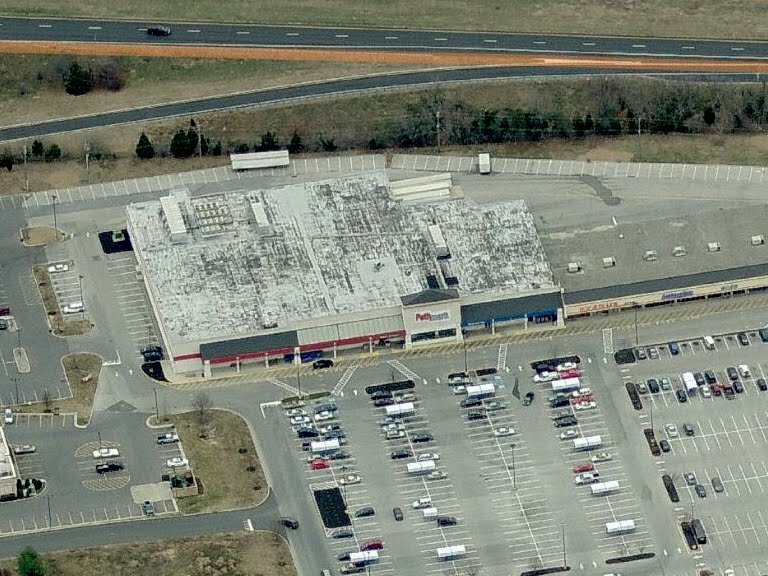 As mentioned above, the new Acme opened back in March 2005 next door to Lowes. 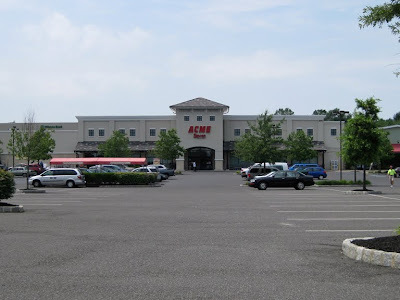 Acme set up shop in the part of town which already had an established Pathmark and Walmart. A ShopRite opened on theo other side of the Acme in August 2007. 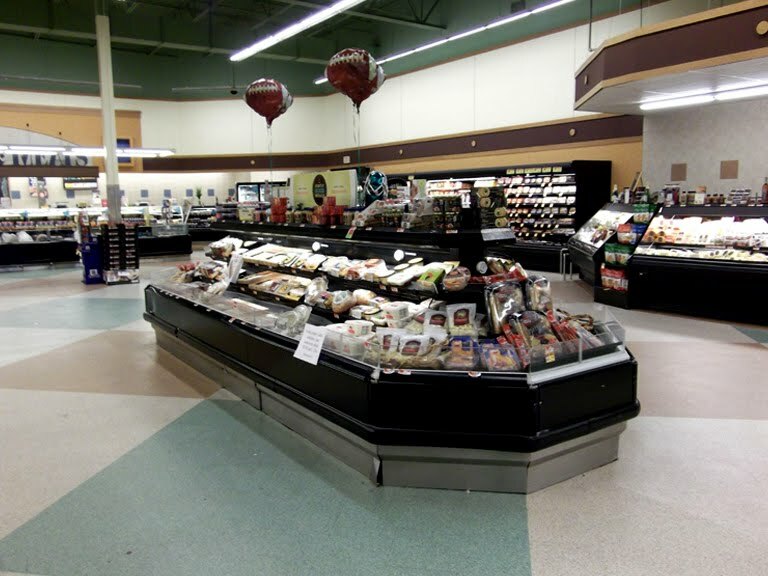 The Pathmark was the first to give up and closed back in October 2010 as part of A&P's closing of 25 stores. The image of the new store comes to us courtesy of AcmeFan85. 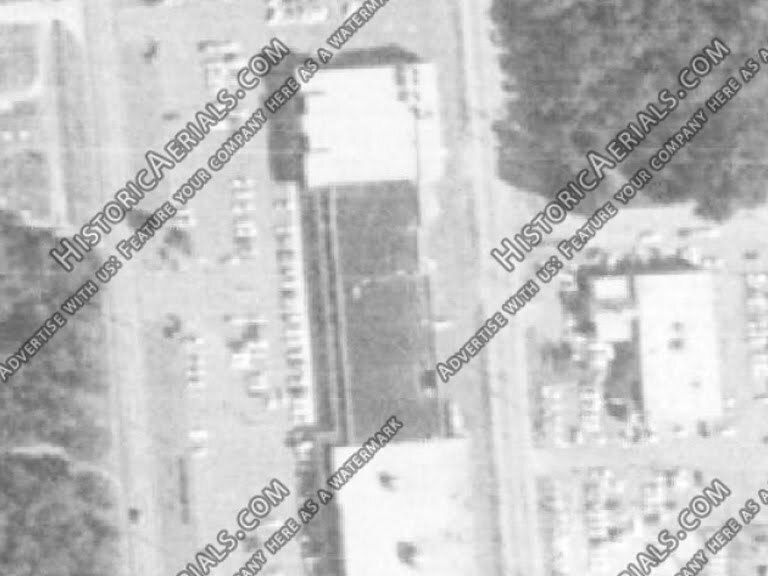 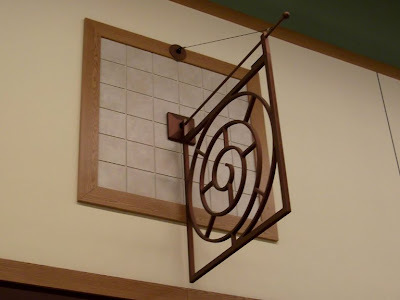 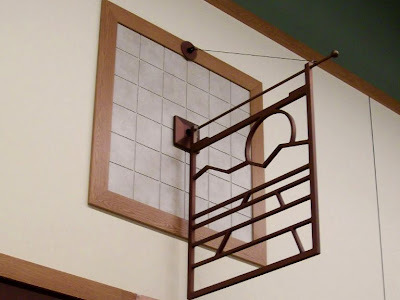 I was hoping someone would be able to get us some additional photos, especially of the interior, but none have come in. 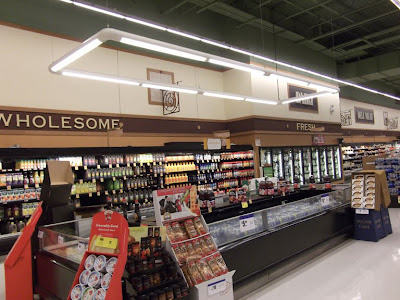 The interior was undoubtedly the Alberstons Marketplace decor. Above is a look at the nearby compeition. The old Acme is in the lower portion of the image. 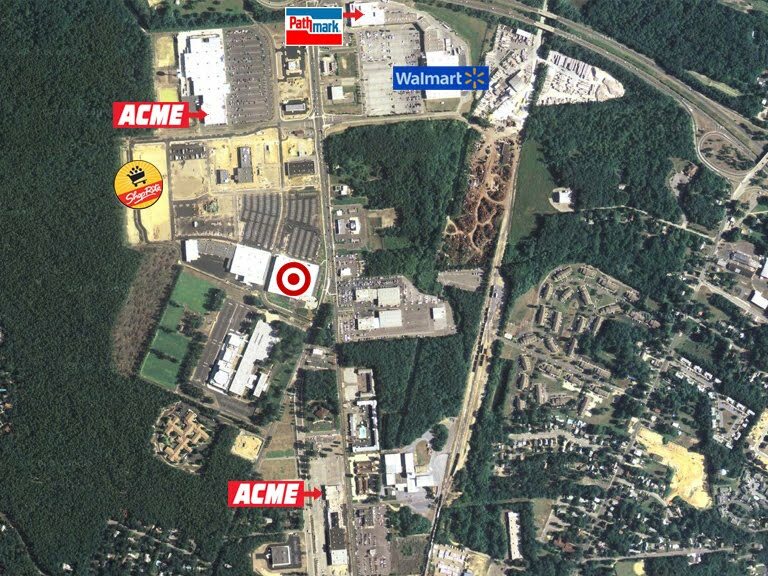 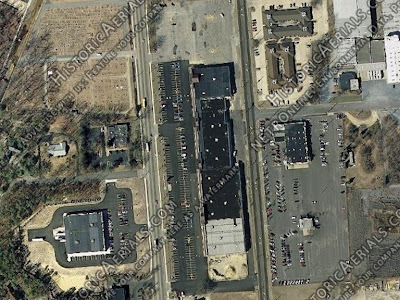 Target, Kohls and ShopRite are newer addtions to town. 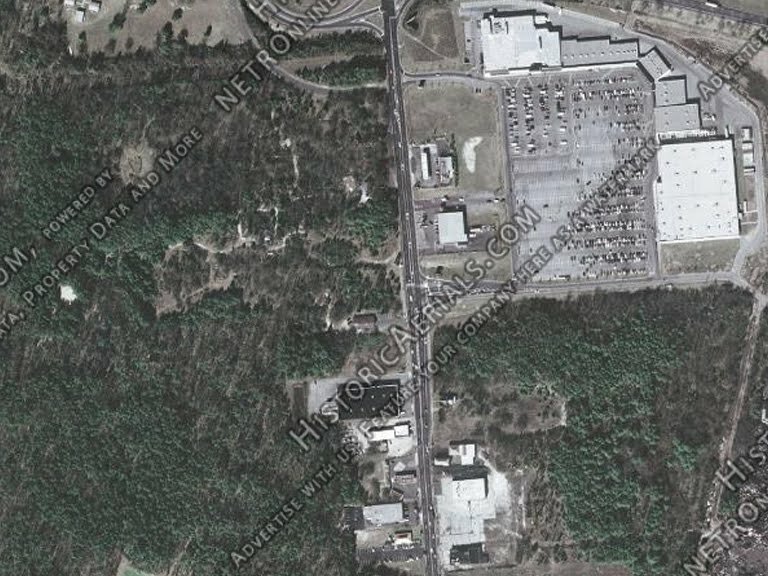 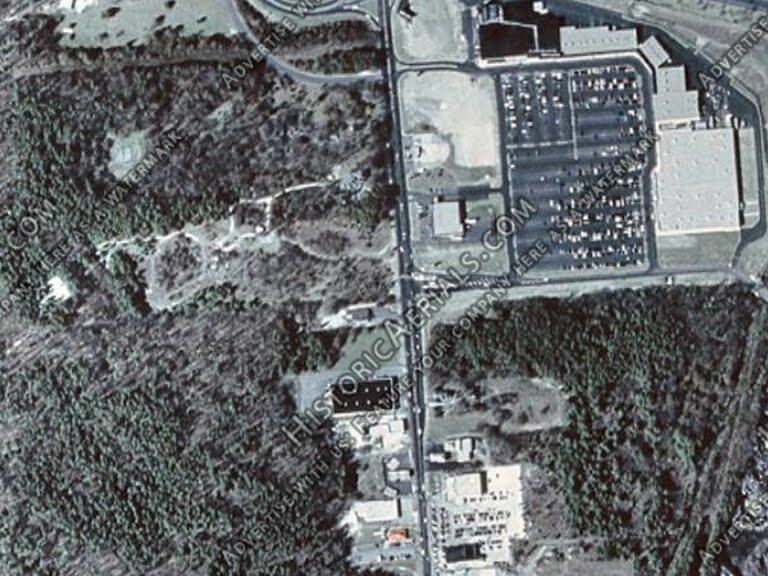 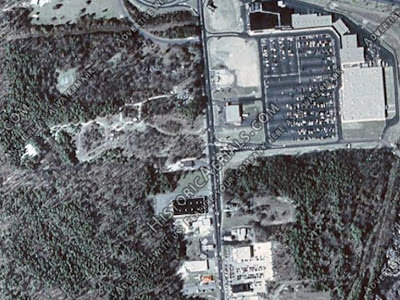 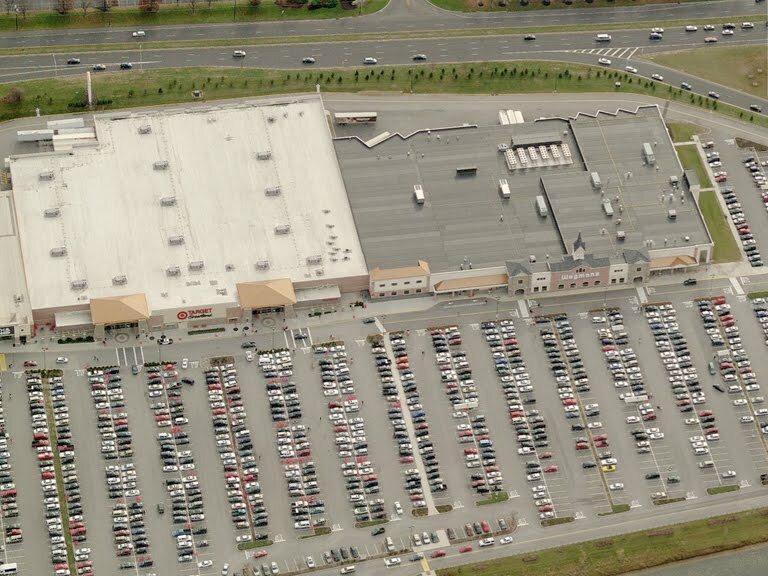 The Cumberland Mall sits just North of the Walmart/Pathmark shopping center. 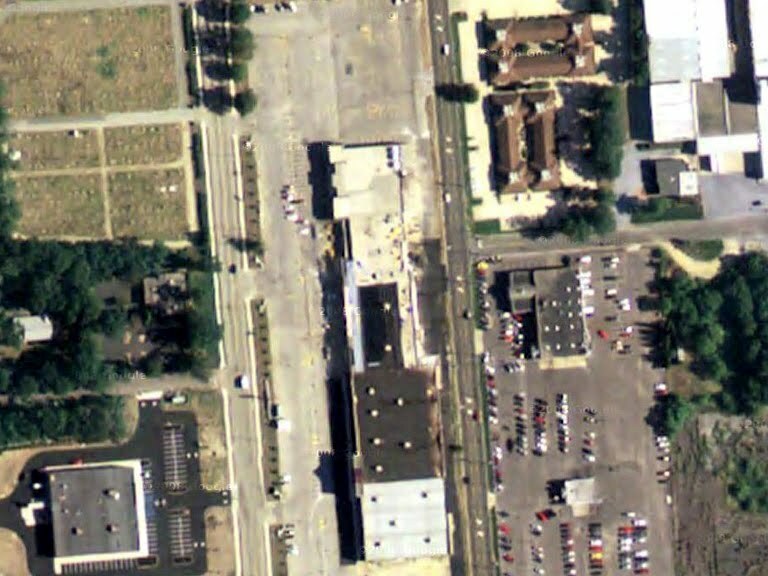 The ShopRite under construction in the upper left. 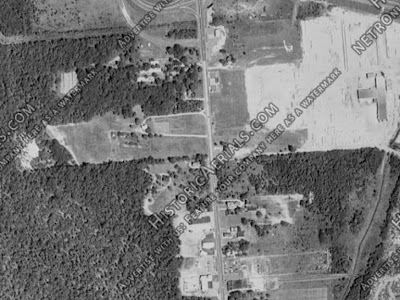 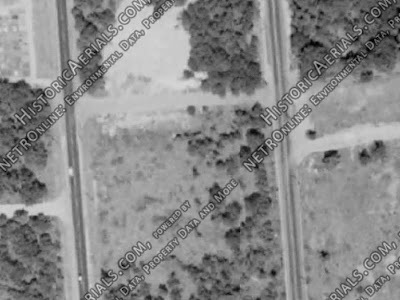 A close-up view on Bing Maps reveals the store completed and open for business. 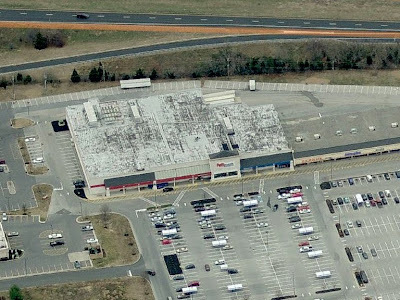 The Pathmark located across the street. 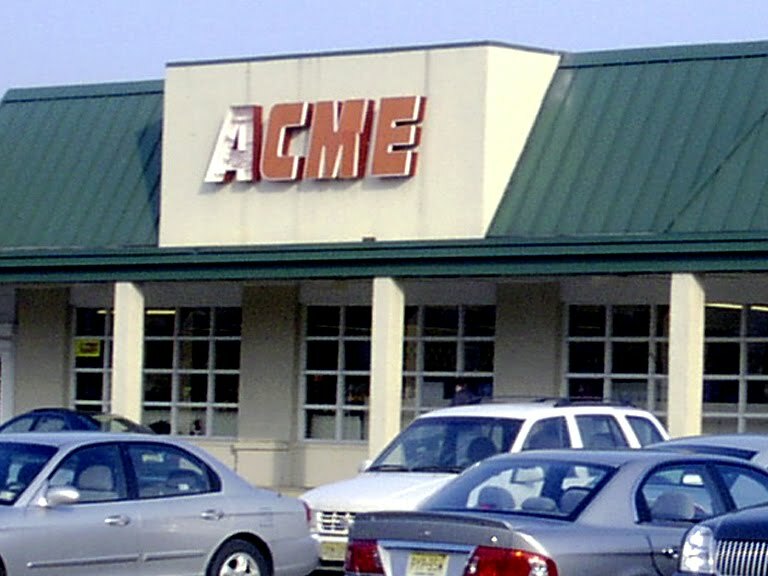 The Millville Acme closed for good on Wednesday February 23. 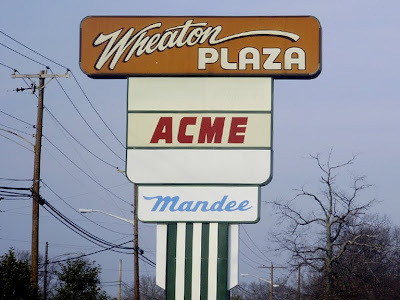 Thanks to trex354 and AcmeFan85 for making this post possible. Sunday's News Break post has been removed. 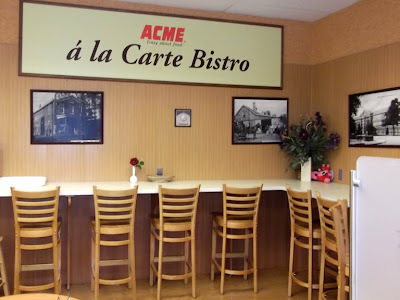 Due to the overwhelmingly negative reaction to the latest Acme Style News Break, the post, as well as all the comments, have been removed from the blog. 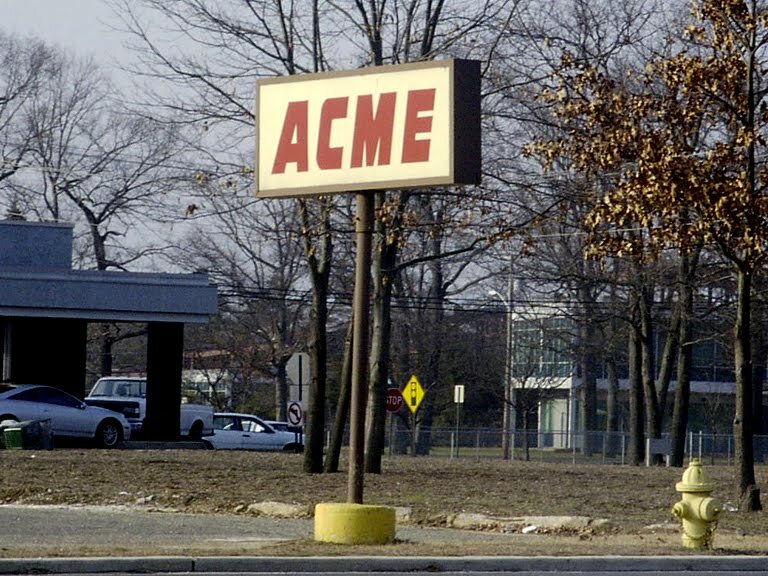 Please keep in mind that this is a retail history preservation website and is not a forum for airing your grievances of Acme. 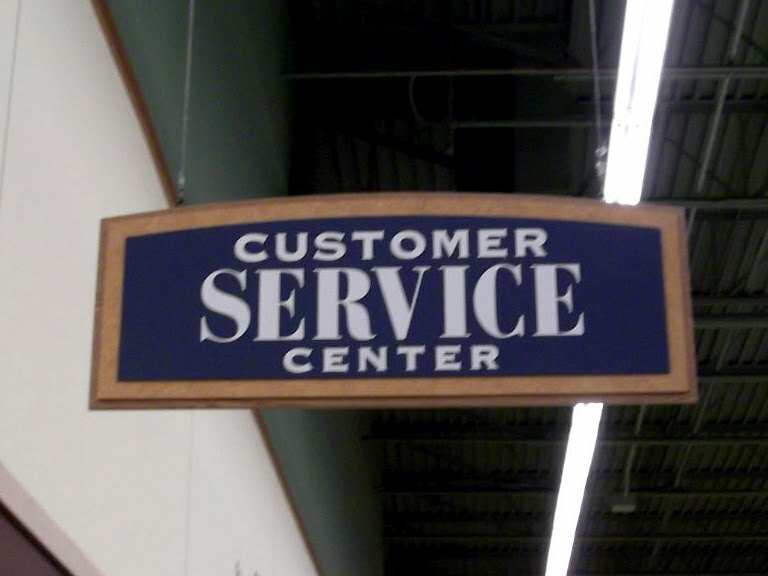 If that's what you've come here to do, please allow me to direct you to the more appropriate destination for such discussions.... the SVU message boards over at yahoo finance. 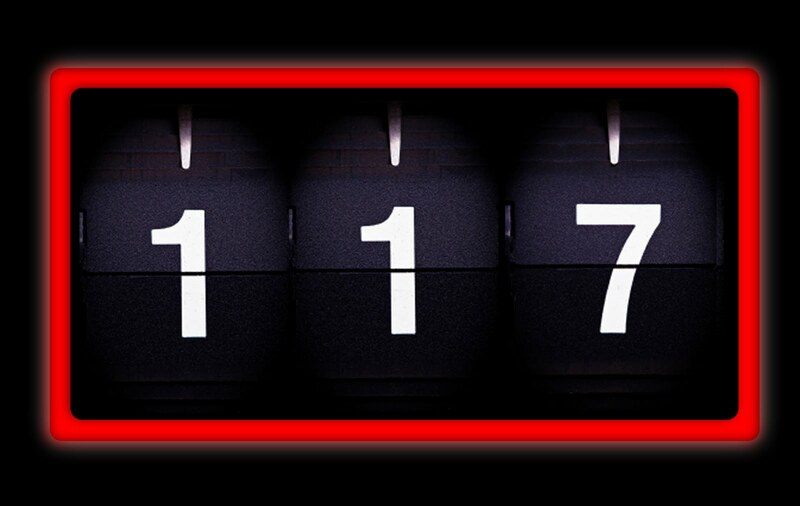 You can go straight to the message boards by clicking here. 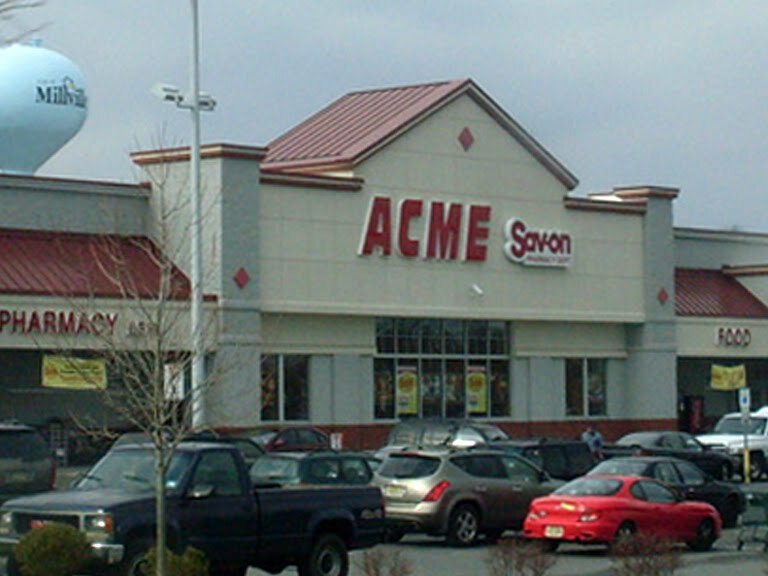 The subject of the News Break in question was Acme's latest efforts to lower prices lead by Acme's highly regarded new President, Dan Sanders. The post included a link to an aricle on Philly.com featuring Sanders and his new pricing strategy. You can read the article by clicking here. 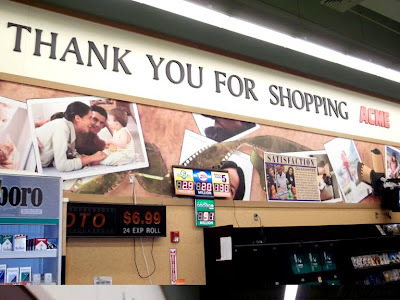 Commenting for this post has been disabled. 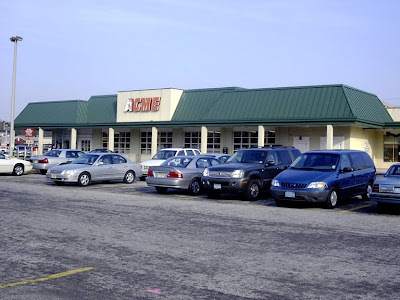 The Moorestown Acme opened in March 2003, replacing the "small Acme" located in the center of town. 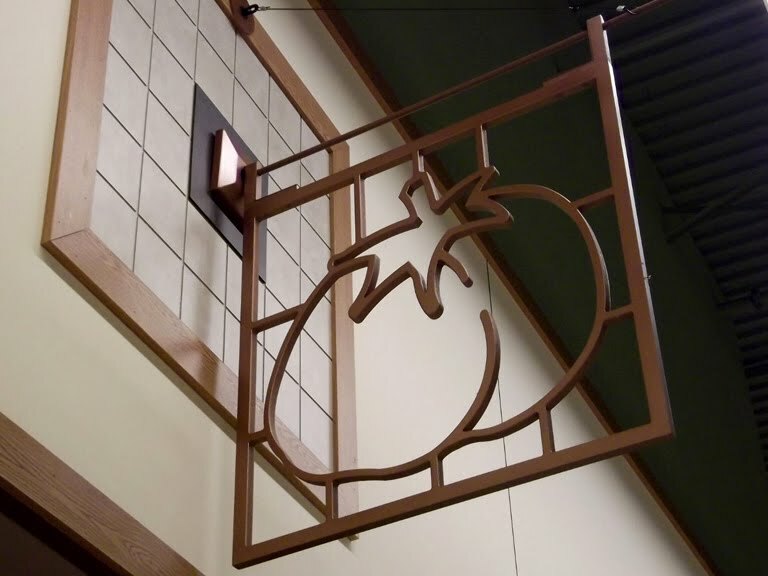 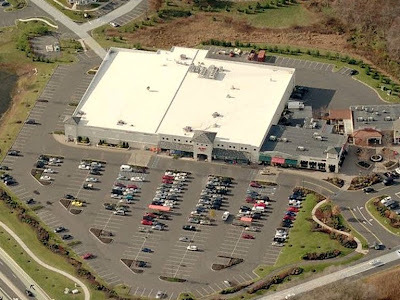 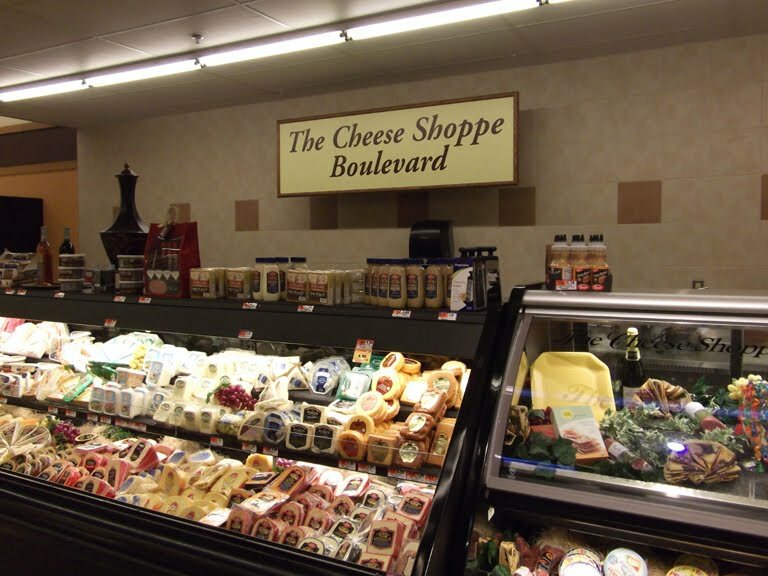 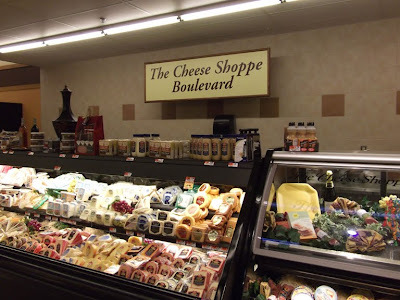 After getting off to a strong start, Wegmans opened a stones throw away in 2006 . The Acme managed to survive for five years but will now call it quits on February 26, 2011. 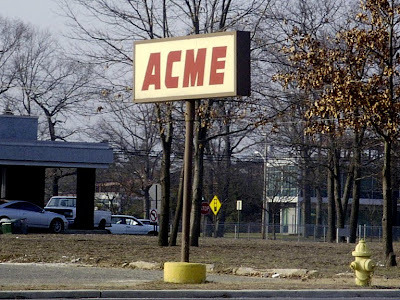 Yet another example of Acme's inability to fend off a competitor. 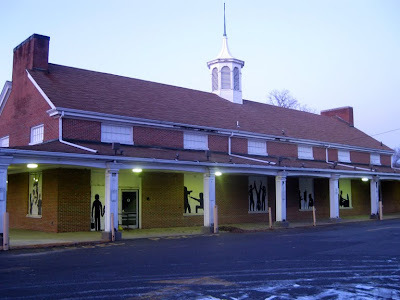 Moorestown has been previously featured on the blog with a focus on the old abandoned downtown location. 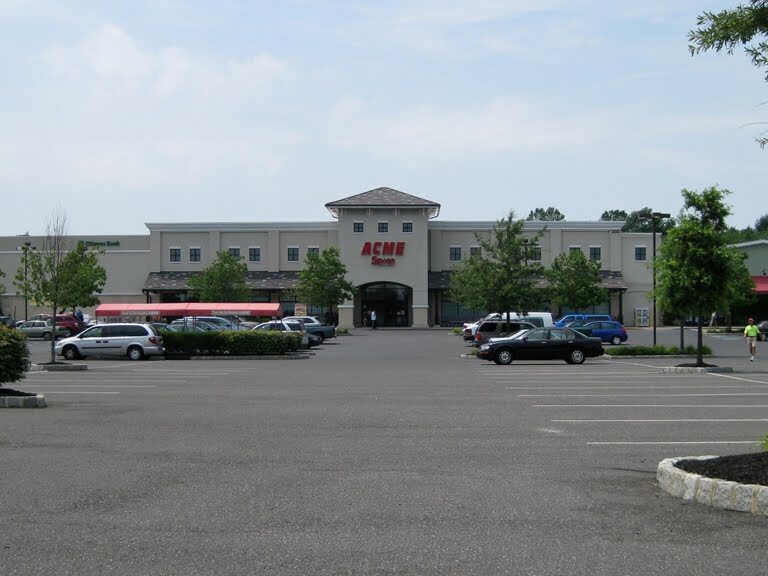 "I worked in both Moorestown stores. 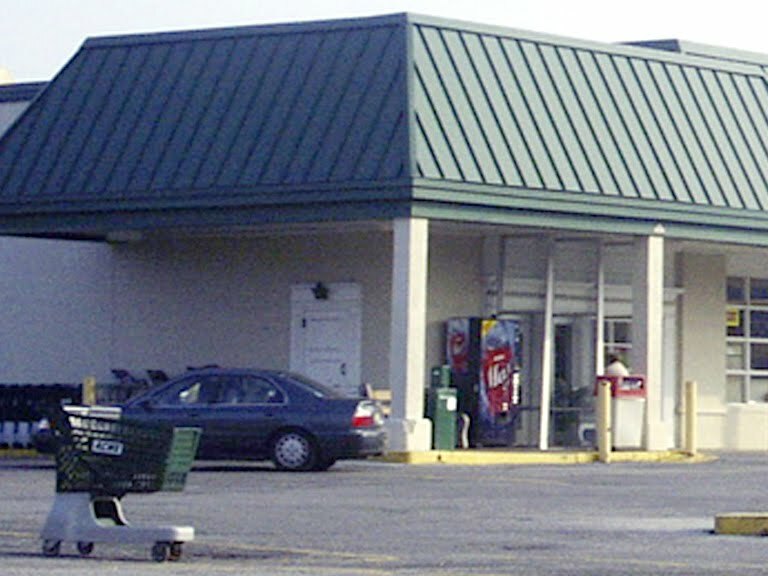 The small store stayed open about two years after the big one opened. 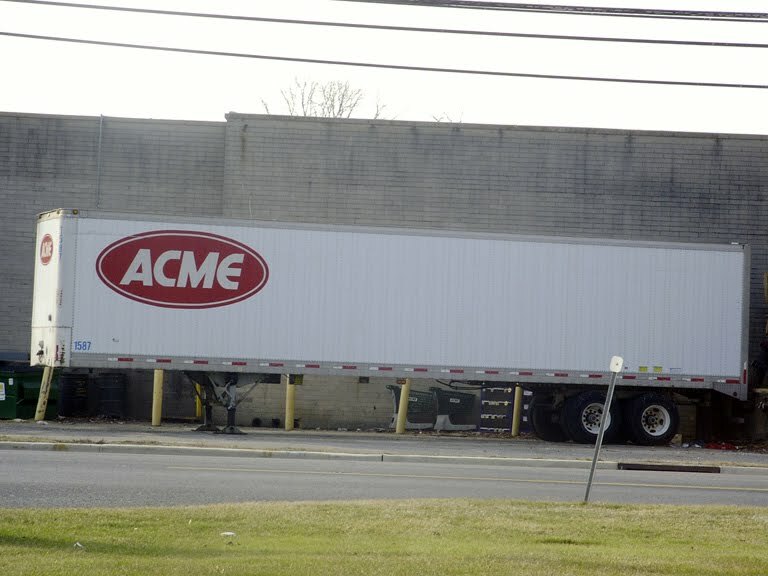 It was part of a deal Acme made with the township. 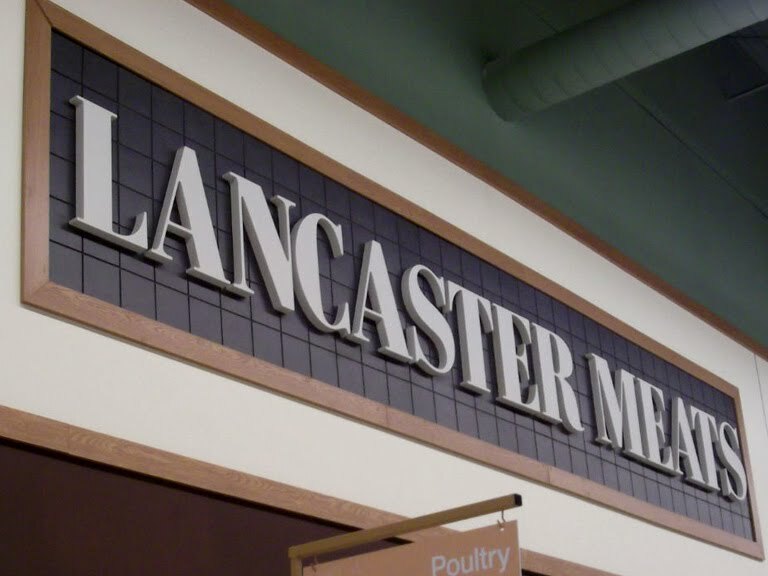 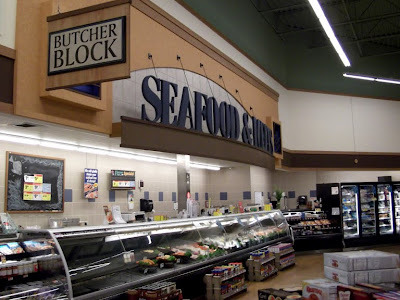 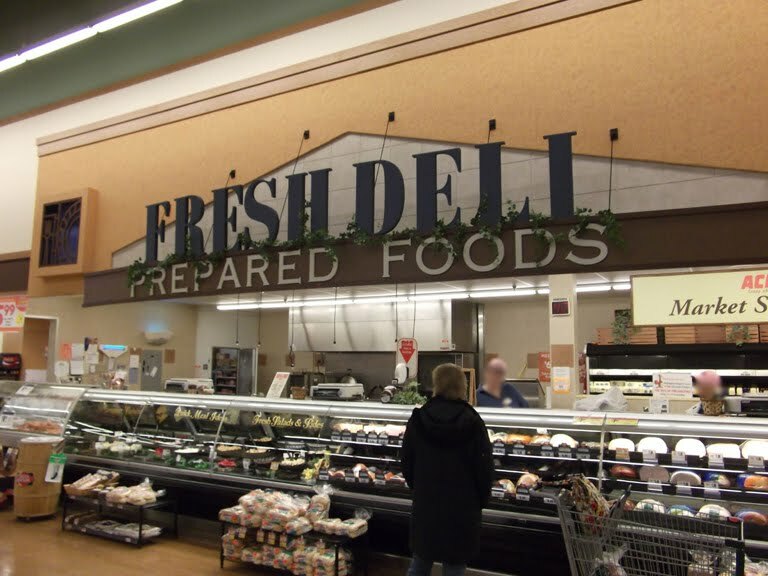 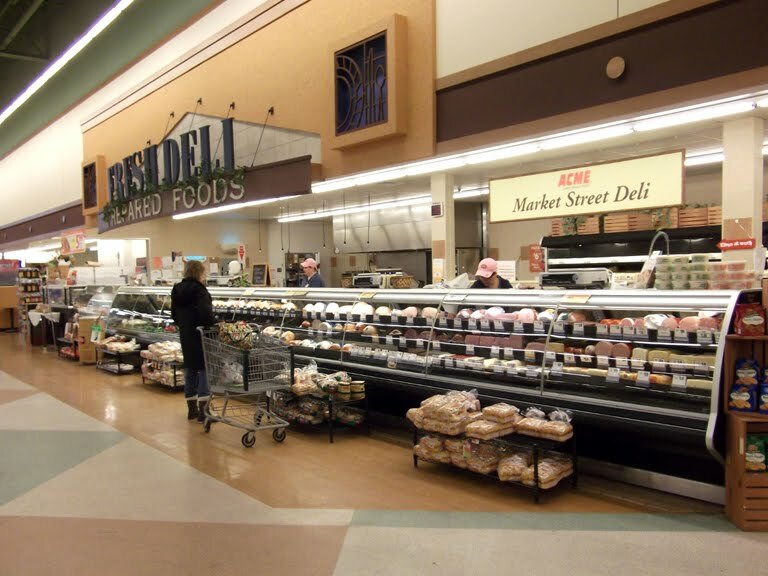 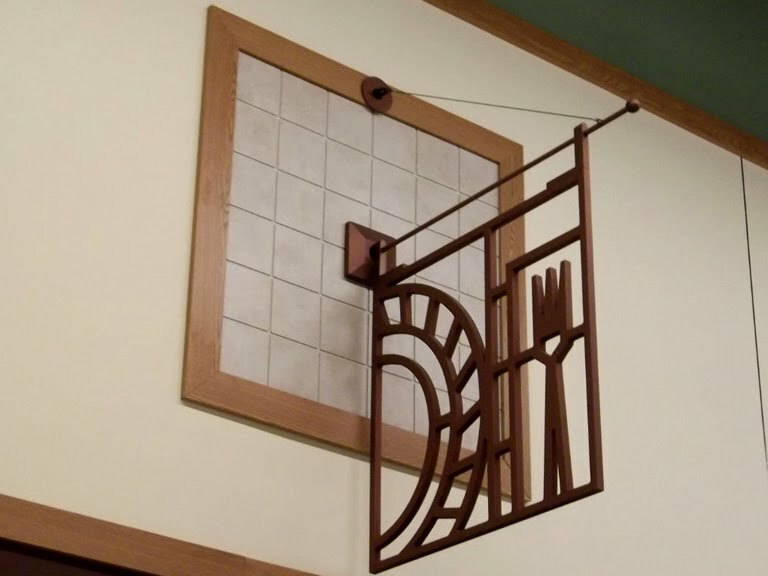 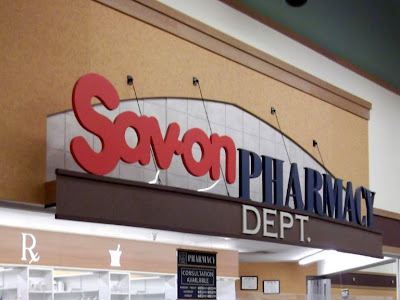 The big store was the biggest store in the chain and was its baby until Wegmans opened up." Another "Anonymous" commenter really let me have it for getting the information wrong and accused me of not doing the proper research. 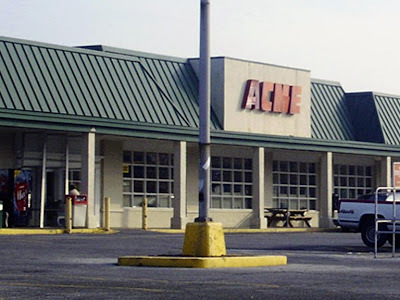 It's always the anonymous people who do the most trashing of this blog and of Acme. 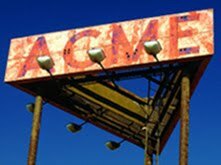 As much as I strive for 100% accuracy in every post that goes up on Acme Style, there are going to be posts that have incorrect information. I always try to correct errors as quickly as possible as additional information comes in but having over 100 stores on the blog now it can be difficult keeping up with every single one of them. 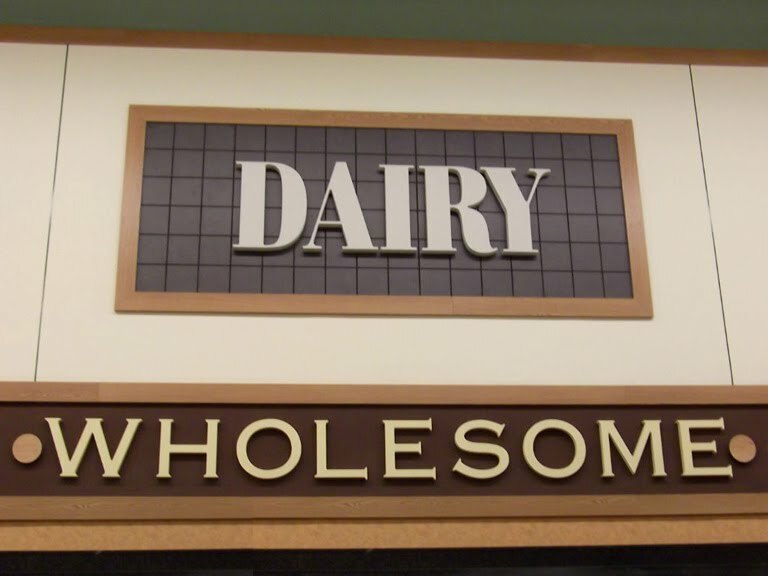 I know most of you are understanding of this. The rest of you can either offer friendly corrections to what is reported here or move along to another blog that meets your standards. 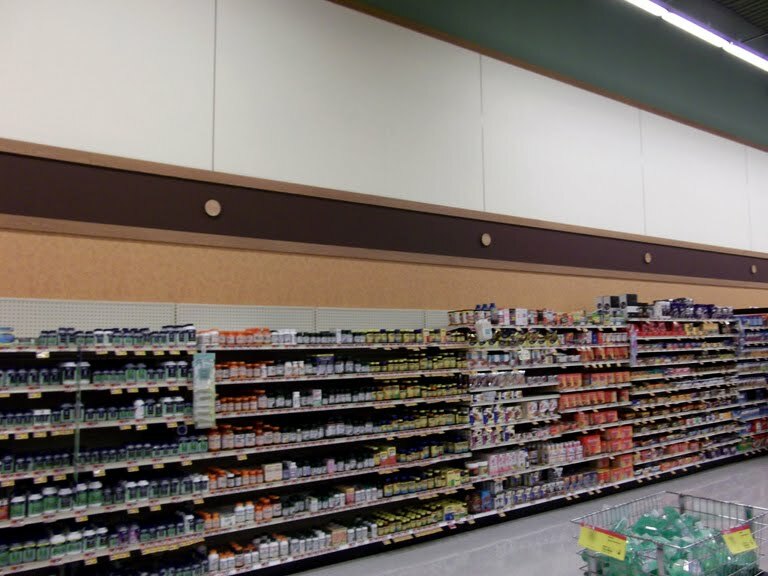 This post will provide an extensive tour of the interior which wasn't provided in the original post. 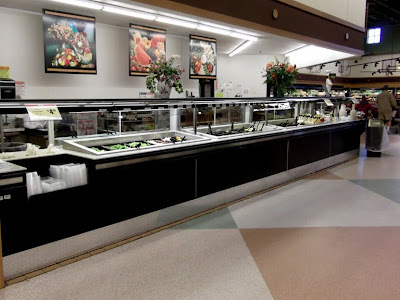 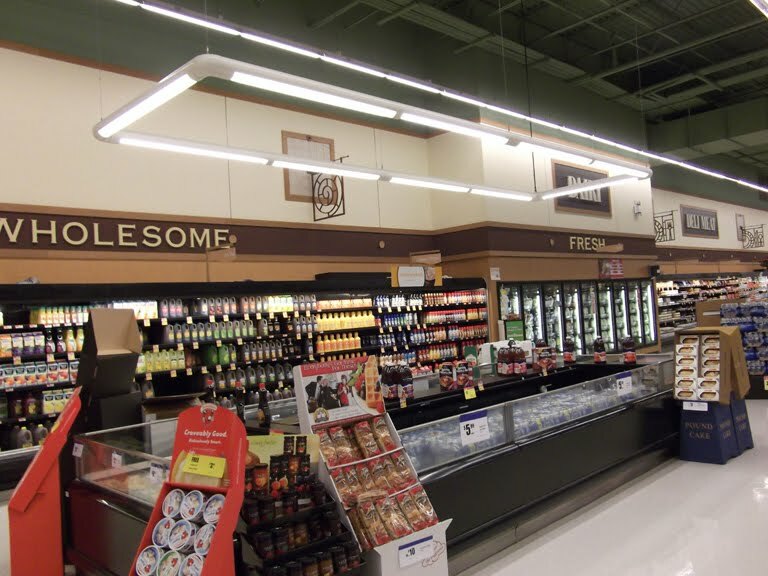 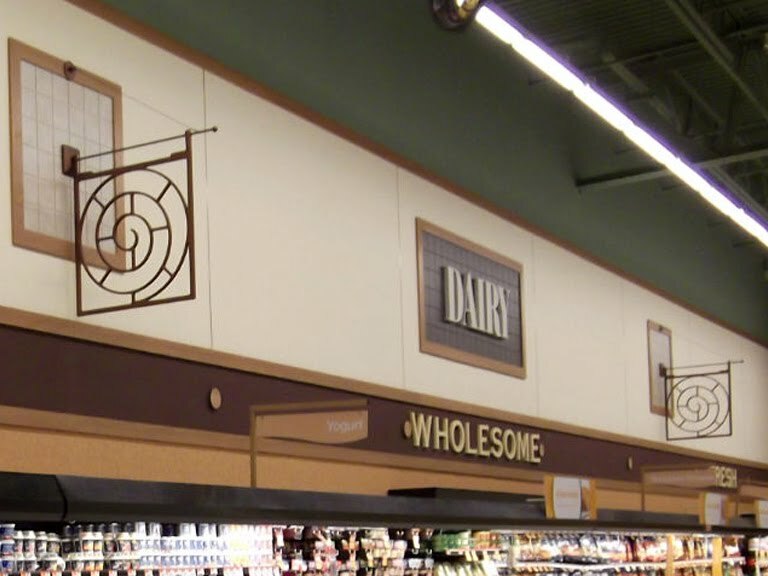 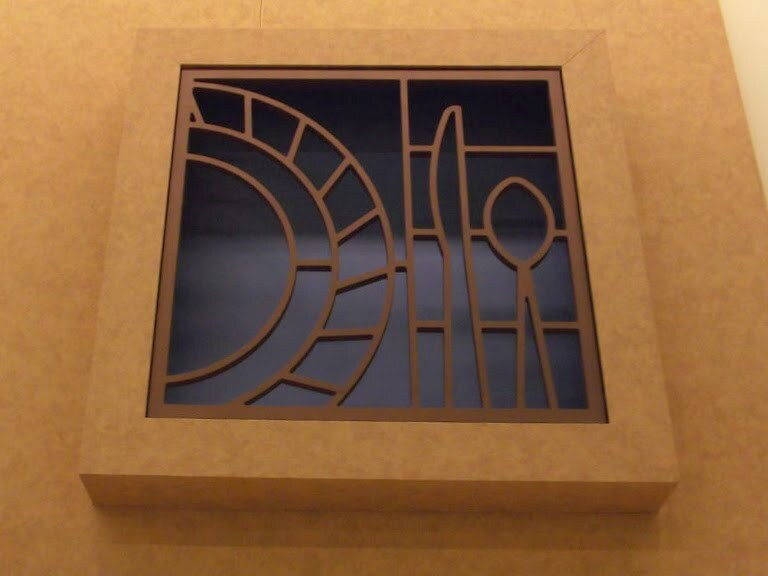 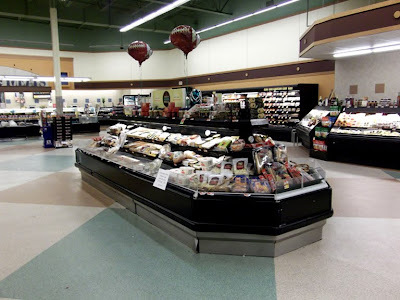 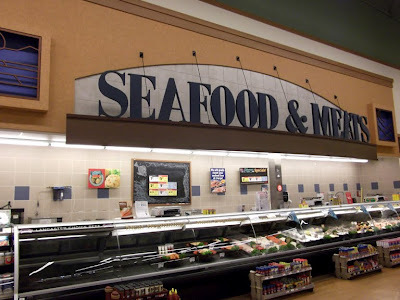 The interior pictures are courtesy an anonymous contributor and will provide are very detailed look at the Albertsons Marketplace decor. 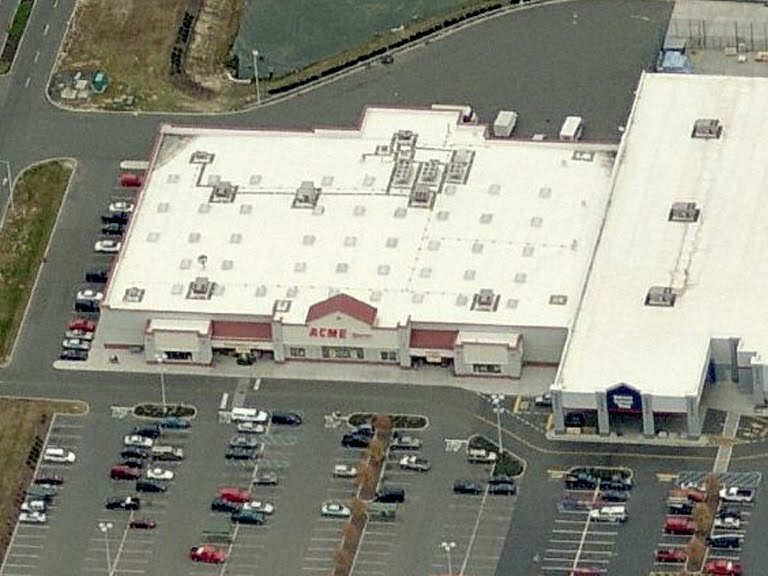 As noted by a commenter to the original post, the new store has windows along the roof line similar to those in the old store. 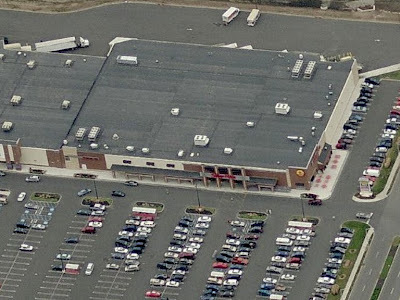 This store is absolutely massive. It may very well be one Acme's largest. 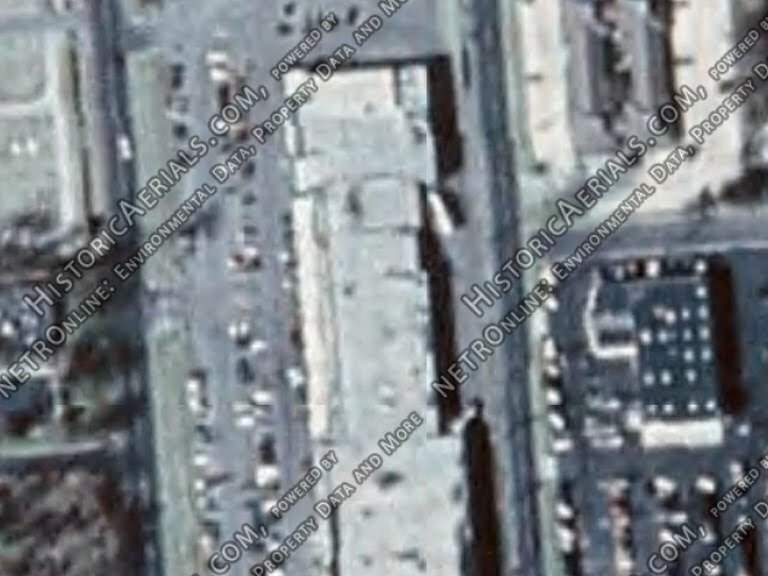 It does seem unnecessarily large however giving it the feeling of a huge warehouse. Perhaps a more intimate shopping experience here would have helped to counter the overblown shopping experience of Wegmans. 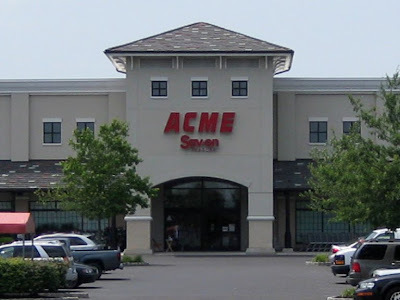 Comments left after various articles on the closing of this store reveal that many Moorestown residents would prefer an alternative to the madness of Wegmans yet are not willing to pay the prices at Acme. Wegmans has been very successful in the past few years of changing it's perception of being a high-priced store. 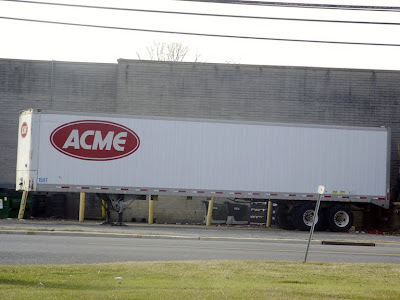 Something that Acme has yet to figure out how to do. 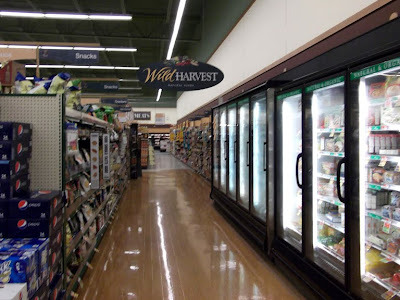 The Wild Harvest department not looking too inviting here. 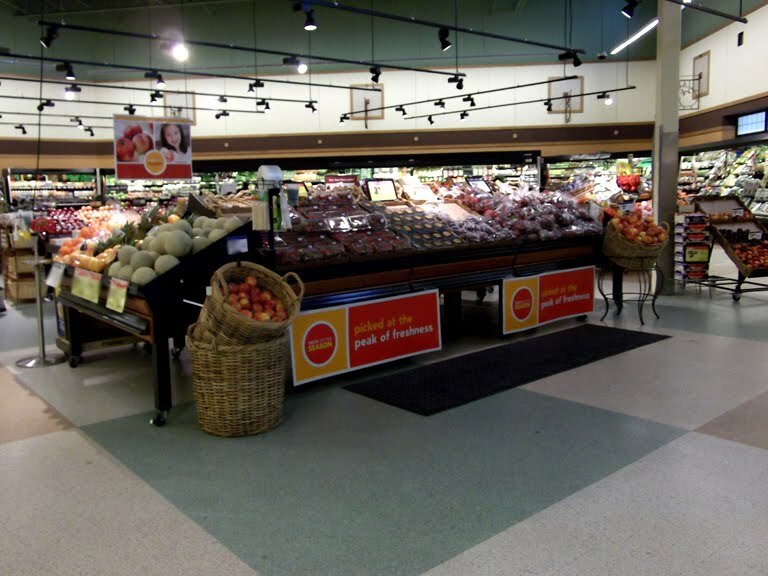 Acme's next round of decor, the Premium Fresh and Healthy package, maintains a similar store layout to these early to mid 2000's stores but reinvents the merchandising throughout the store. 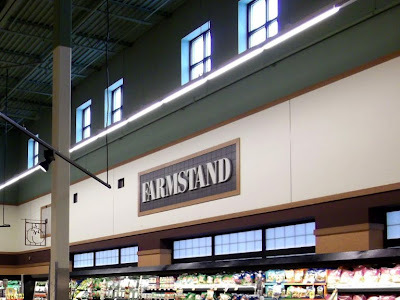 The newer PFH store loose the warehouse feel and offers a more intimate shopping experience by reducing the general lighting of the store and focusing attention on each department's merchandise. 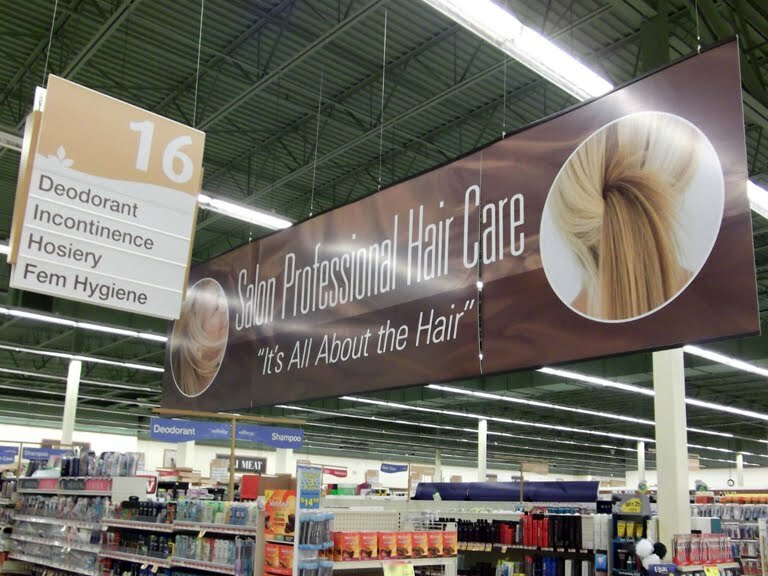 The Albertsons Marketplace decor includes a big push on hair products. 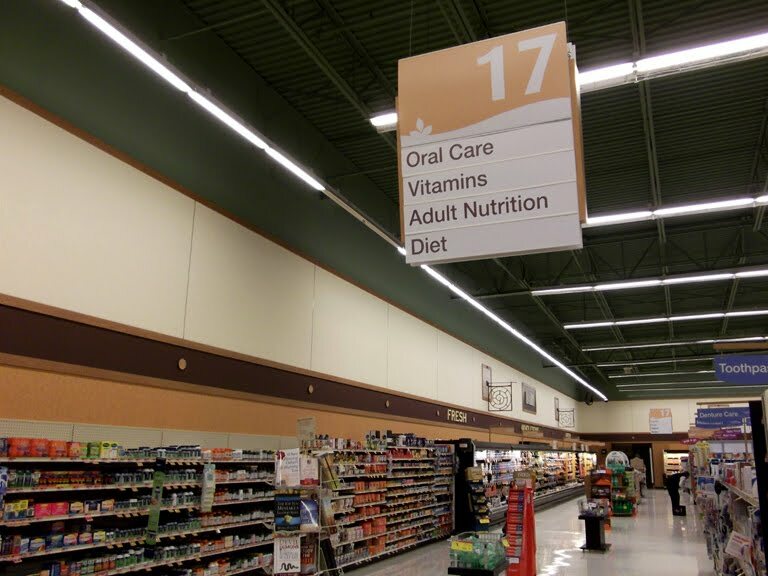 The decor dies out in aisle 17. This photo taken just recently with the store having been cleared out of merchandise. 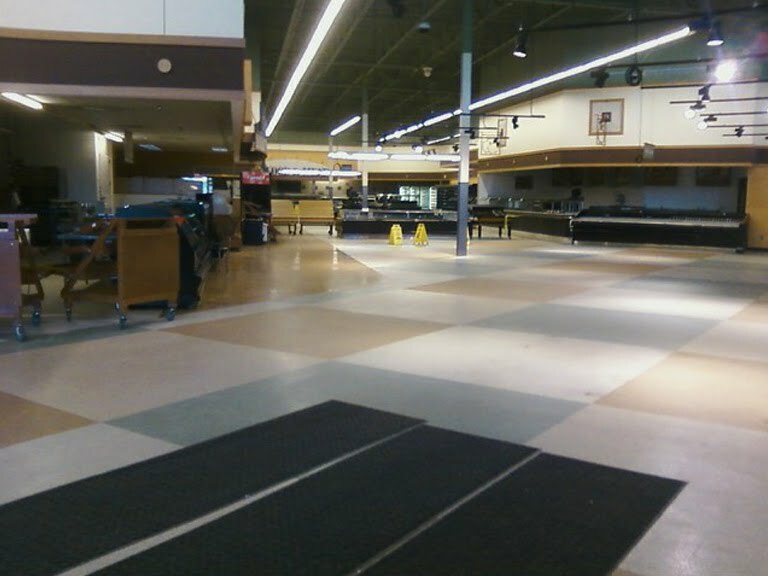 Unbelievable crowds at both Wegmans and Target. Seems as though Acme could have easily offered a compelling reason to pass by all of this craziness. 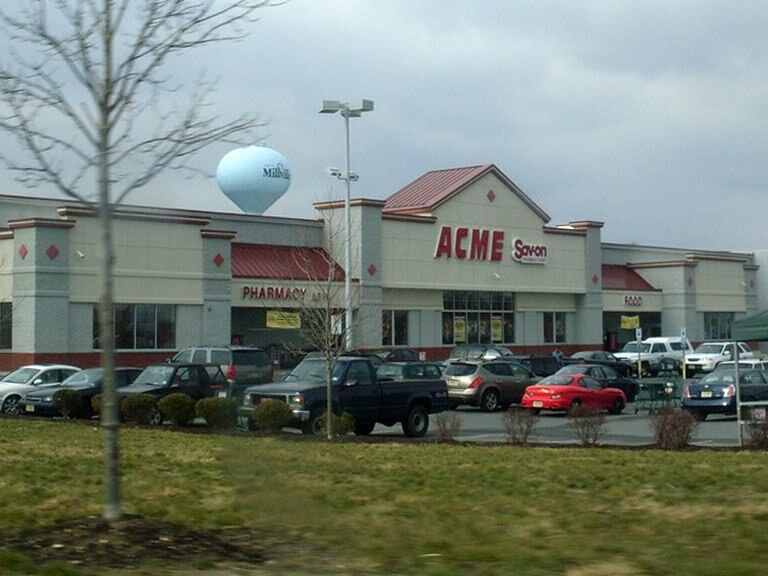 The "Small Acme", as it was affectionately referred to, closed the day after the new store opened. 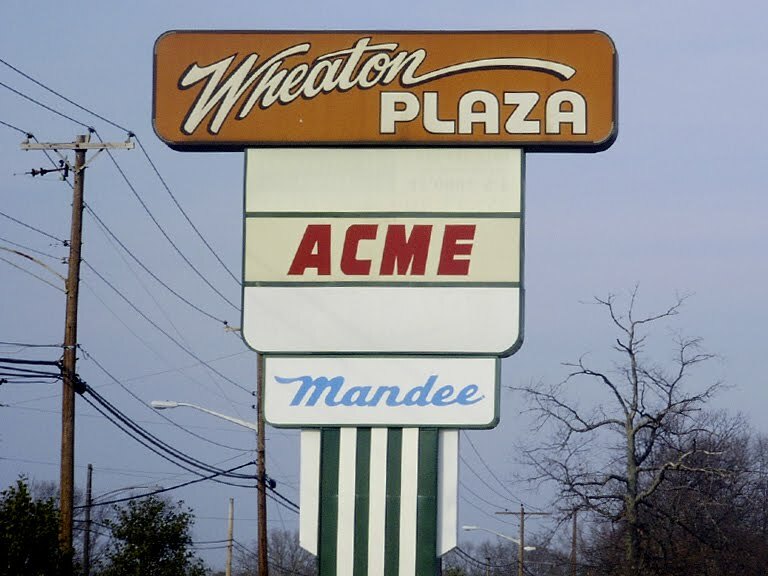 It remains abandoned to this day. 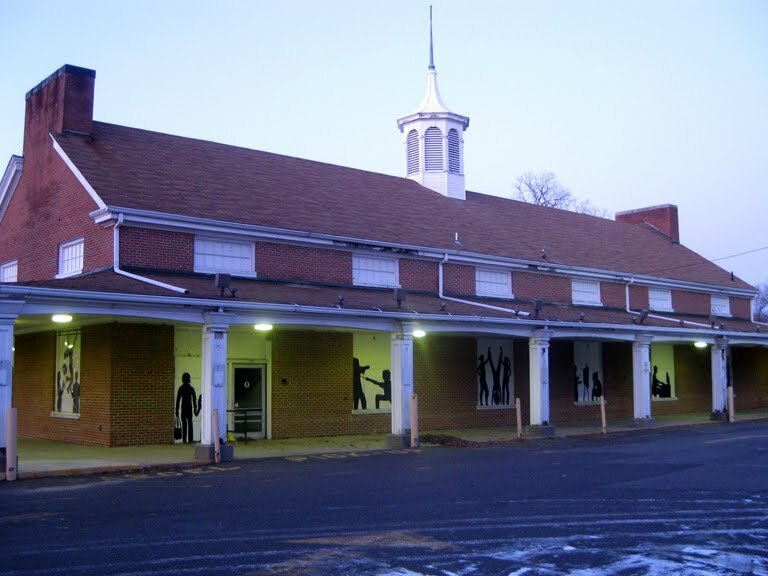 The nearby Friends School purchased the property and spruced it up a bit by painting silhouettes of children on the windows. It's plans to convert the building into classroom space have apparently fallen through. 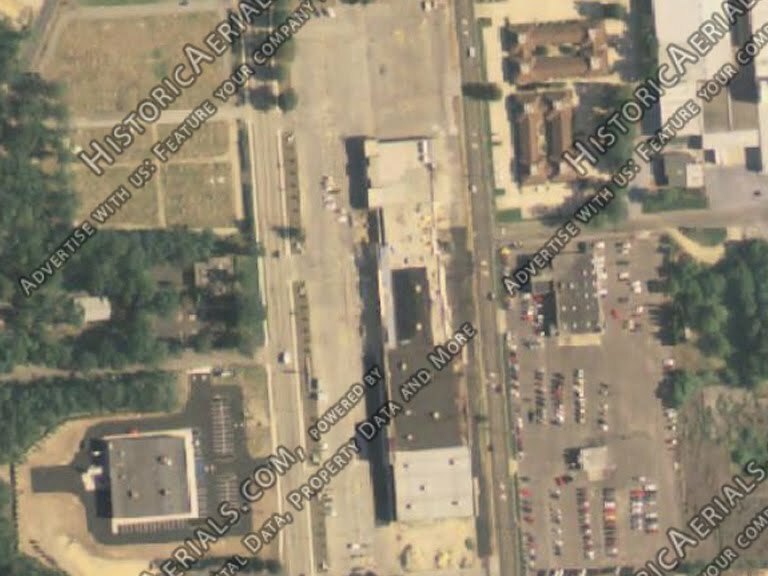 Township officials would much rather see the building converted into retail space to help revitalize the downtown area. For detailed coverage of this store, please check out the original post.